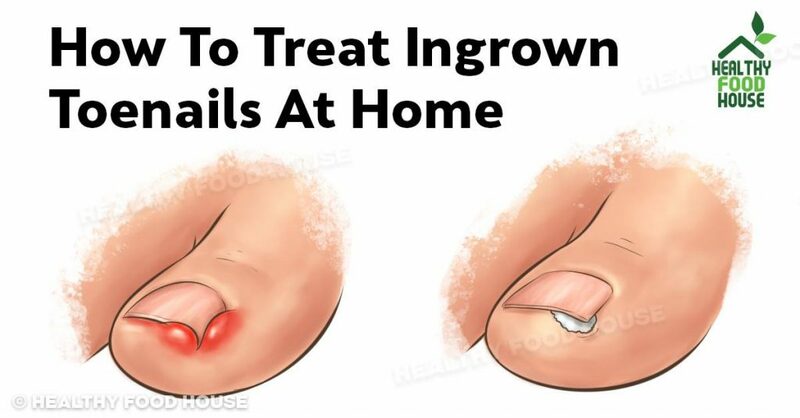 Ingrown toenails cause great discomfort and pain, and occur when a nail starts to grow curved into the skin. It, therefore, leads to swelling, tenderness, irritations, and redness, as well as an infection. The main causes of ingrown toenails include Heredity, improper footwear, and a foot injury. This issue is quite common and is often too difficult to treat. However, there are several effective natural ways to soothe the pain caused by it. Remember not to cut or trim the nail, and it is best to always consult your doctor before you try anything on your own. Vinegar is an effective method in the case of an ingrown toenail. You should simply dilute a quarter cup of it in some warm water, and soak your feet in it to relieve the pain and discomfort. Also it can prevent an infection if you apply it directly on the wound, as its potent antibacterial properties clean the area. Yet, it cannot fight an existing bacterial infection. Epsom salts alleviate irritations, soften nails, and disinfect the foot from bacteria. Just soak the foot in the lukewarm water with these salts for 20 minutes. It is of high importance to keep the feet clean, as the affected area is vulnerable and core. The feet come in contact with a lot of germs, so you should apply antibiotic ointment regularly, and wrap it with a bandage to keep the toe sterile. You can use a cotton ball or flow to relieve the pressure between the nail and the painful toe. Lift the nail with tweezers (or dental floss wrapped around the nail) to carefully place a sterile cotton ball underneath, and ensure the nail is comfortable above it.